We provide patients custom testosterone blends, tailored for individual physiologies. What’s Special about our Injectable Testosterone? Nearly every TRT clinic in existence today has only one option of injectable testosterone to offer their patients, and it is simply the basic, mass-produced, single-ester, "one-size-fits-all" variety. Our medical practice proudly rises above ordinary clinics, and sets a new standard of excellence by providing finely crafted, bespoke, multi-ester blends, that are custom made by our highly specialized compounding pharmacy. The purity, stability, bio-availability, and effectiveness is unmatched in the field. In addition to the unparalleled quality of our customized testosterone, we take things a step further, and use proprietary syringes & needles for our TRT program, ensuring the ultimate in comfort and convenience. The majority of mill-type clinics simply provide patients with large, cheap, clunky needles in order to cut costs. Our "Comfort Plus" syringes are finely crafted; designed for the ultimate in quick, easy and pain-free injections. Our basic blend contains testosterone cypionate only. Testosterone cypionate is the most common testosterone ester in the United States and is an androgenic / anabolic agonist of the androgen receptor with an elimination half-life of approximately one week. The chemical structure is C8H14O2, and although testosterone cypionate is a synthetic androgen, it is considered to be a bioidentical form of testosterone, because its pharmacodynamics mimic that of naturally produced testosterone. We provide testosterone blends in either grapeseed oil solution or sesame oil solution, based on preference. Our Testosterone Duo-Blend combines up to 20% Propionate ester with up to 80% Cypionate ester, and can be variable based on the patient’s physiologic response. The purpose of this combination is to achieve more stable and consistent androgen levels between injection times. 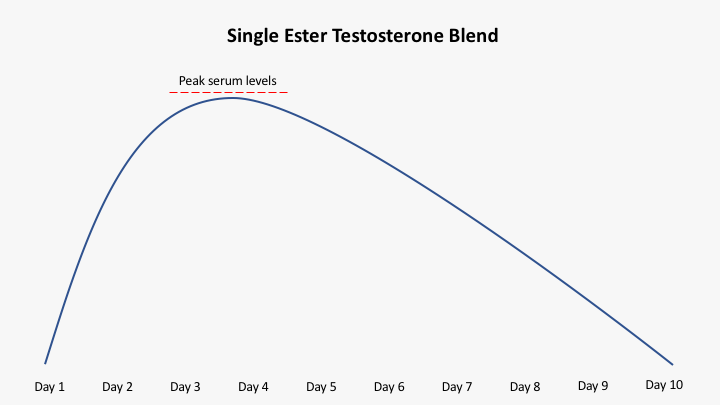 The shorter ester, propionate is released more quickly than the longer ester, cypionate, and the effect is a less dramatic spike in peak testosterone, and subsequent decline. Testosterone Replacement Therapy yields more positive results and patient satisfaction when hormone levels remain steady throughout the week. Our Testosterone Tri-Blend is designed to facilitate the most stable and consistent release of testosterone between injection times. Tri-Blend combines a short, medium, and long ester chain (12.5%, 37.5% and 50% respectively), and is favored by many patients. Blood analysis indicates that serum testosterone is relatively similar several days after injection than it is the day or two proceeding the injection. In addition to providing a stable hormone profile, another great benefit of Tri-Blend is that without the dramatic spike in androgen levels that is more common in single ester. Our basic blend contains testosterone cypionate only. Testosterone cypionate is the most common testosterone ester in the United States and is an androgenic / anabolic agonist of the androgen receptor with an elimination half-life of approximately one week. The chemical structure is C8H14O2, and although testosterone cypionate is a synthetic androgen, it is considered to be a bioidentical form of testosterone, because its pharmacodynamics mimic that of naturally produced testosterone. We provide testosterone blends in either grapeseed oil solution or sesame oil solution, based on patient preference. Our Testosterone Dual-Blend combines up to 20% Propionate ester with up to 80% Cypionate ester, and can be variable based on the patient's physiologic response. The purpose of this combination is to achieve more stable and consistent androgen levels between injection times. 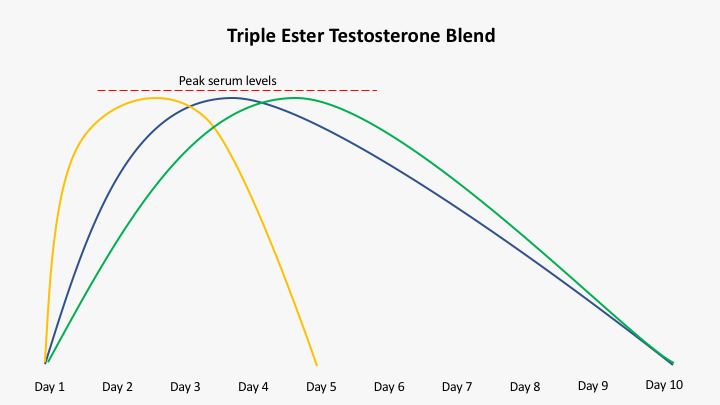 The shorter ester, propionate is released more quickly than the longer ester, cypionate, and the effect is a less dramatic spike in peak testosterone, and subsequent decline. Testosterone Replacement Therapy yields more positive results and patient satisfaction when hormone levels remain steady throughout the week. Our Testosterone Tri-Blend is designed to facilitate the most stable and consistent release of testosterone between injection times. Tri-Blend combines a short, medium, and long ester chain (12.5%, 37.5% and 50% respectively), and is favored by many patients. 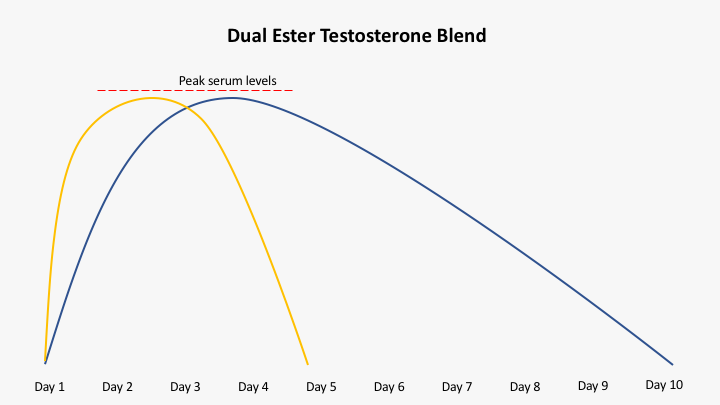 Blood analysis indicates that serum testosterone is relatively similar several days after injection than it is the day or two proceeding the injection. In addition to providing a stable hormone profile, another great benefit of Tri-Blend is that without the dramatic spike in androgen levels that is more common in single ester administration, the patient typically experiences less aromatization, and often does not require ancillary support of an AI. Testosterone Replacement Therapy (TRT) is most commonly administered by means of a weekly Testosterone Injection. 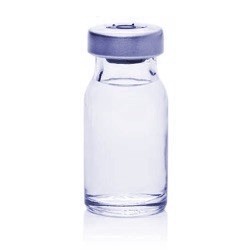 While other administration options are available, such as Topical Testosterone and Testosterone Pellet implantation, injection is by far the most commonly prescribed, and almost always the most efficient and economical. Men who opt for testosterone injections through Virility, Inc. may choose to either self-inject at home, or receive their injection at our clinic. Virility, Inc. uses proprietary syringes & needles for our TRT program, which are quite unlike the larger, cheaper syringes offered by mill-type clinics. Because our “Comfort Plus” syringes are finely crafted, and designed for the ultimate in pain-free injections, most patients simply elect to self-inject at home. Virility, Inc. is not a “Testosterone Mill.” Virility, Inc. is an elite hormone optimization clinic that seeks to achieve that absolute optimal hormone profile for each patient, and as such, we provide a number of custom concentrations and variations of Injectable Testosterone, based on what is right for each individual patient. Virtually all TRT clinics in the United States universally prescribe the exact same concentration and form of injectable testosterone known as “Testosterone Cypionate” to every single patient. The term “cypionate” refers to the ester, a chemical compound with a molecular formula C8H14O2 that is essentially the cellular transport mechanism of testosterone. The cypionate ester is of a specific molecular weight that facilitates a relatively slow and predictable absorption by the body, with an active half-life of approximately one week. In general, the practice of prescribing the same thing to everybody results in generally average results. The problem is, most guys who receive "average" results do end up feeling better, but are far from feeling the best they can. The distinction with Virility, Inc. however, is that our practice is based on achieving the absolute best outcome for patients, with optimal hormone levels across the board. Therefore, we offer patients an optimal concentration and ester-chain ideally suited for their unique physiology and desired results. Because our physicians dial-in every patient to a hormone profile that nets the highest positive outcome for every unique physiology, we commonly work with various esters, and combination of esters to achieve an unparalleled level of success. Our shots are pain-free and incredibly easy. We have years of experience and have continued to refine our programs with the patient's ultimate satisfaction in mind. We have optimized the syringe and needle combinations to ensure absolute comfort and ease of injection. New patients are often pleasantly surprised after their first injection, by the overall ease, and that there is absolutely no discomfort. To better illustrate just how easy at-home self-injections are, please have a look at the quick video below, provided by the Veterans Health Administration. Rest assured, we also offer injections performed by our physician at our clinic, and if needles just "aren't your thing," we provide topical gel and implanted pellet options for therapy. Isn't it about time to treat yourself to a healthier, more active, virile and enjoyable life? Get started with the best in the business, Virility, Inc., in three simple steps. Make an appointment. We begin with talking and listening. You will have questions and we will have answers. With this simple, free, and no-obligation phone call, we will help you to make informed decisions. Together we can discuss options for you. After our initial phone consultation, our physician will give you an examination, and we will have you complete some simple lab work. Then you will review your lab results with the Virility, Inc. doctor, either by phone or in person. The choice is yours.